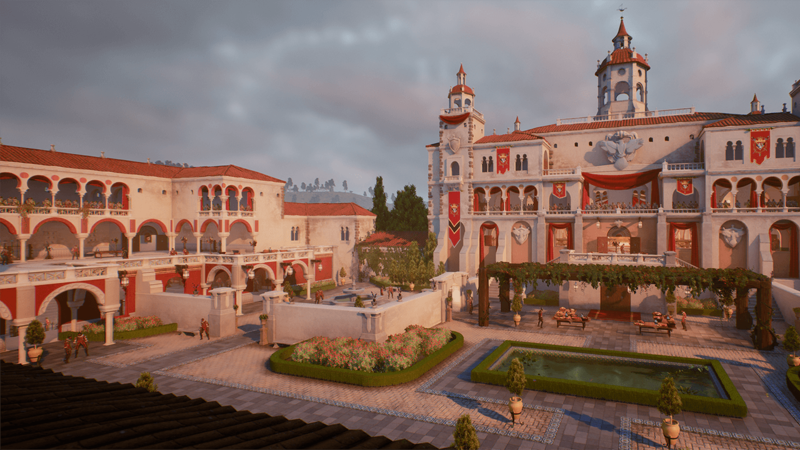 Swashbuckle your way through your family palace as you attempt to regain it from a sinister foe — and his many guards — in En Garde!, an impressive student prototype which takes place in seventeenth-century Spain. Developed by a team of eight students as a graduation project, En Garde! follows the journey of Adalia de Volador as she battles her way through her former home to reclaim it from villains. It’s an impressive effort from the team, with the palace itself beautiful and well made. You can climb over everything within the game as well, meaning you can run along walls or amble along window ledges, should you wish. However, what is perhaps the most impressive element of this title is its combat. En Garde!’s protagonist is a fencer who fights with a rapier and pithy wit. As such, combat is comprised of taunting, dodging, blocking, parrying and, well, jabbing. It’s fast-paced and, when combined with the simple stealth system and ability to amble around most of the map how you wish, it makes for a really interesting system which manages to feel new, fresh and spatially aware — similar to the Assassin’s Creed and Batman Arkham series. The game is also voiced, with some very impressive audio work despite its prototype status. It is probably the most fun I’ve had with an open-level game in many years, especially as there is very little stopping you from stealthily navigating your way around the entire map, only appearing to fight (and subsequently question) the senior guards who serve as your objectives. It’s extremely difficult to dismiss the efforts the team of students have put into the game. For all intents and purposes the prototype, which comes in at about thirty minutes long, really feels as though it could be made into a game which would perform well at a premium price-point. That said, it is rare for university projects to ever go on to see a full release, as the establishments frequently request to be credited and given a share of the earnings on the project — a hefty deterrent. Technology moves at such a fast rate that sometimes you get completely blindsided by the work of a new generation of creators. July is always an amazing time of year for trawling through free games because you occasionally stumble on a graduation project from a group of students who are concluding their project. Decades of experience in working with and creating game tools go into the training and courses that educate the next generation of game devs — and every so often something comes along and surprises you. En Garde!, a prototype made by eight students from Supinfoggame Rubika (France) does just that. You can download En Garde! via its Itch.io page.